Hi all! 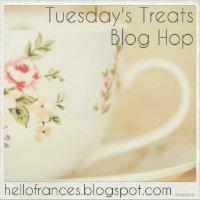 It is Tuesday, which means it is time for Tuesday's Treats! If you want to participate, check out Spot of Tea for more details.